Career Orientation and Training for Midshipmen (CORTRAMID): for midshipmen on scholarship, typically between their freshman and sophomore years of college (for those who pick up a three-year scholarship, between their sophomore and junior years). 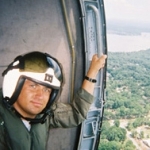 A “Navy sampler” during which a week is spent with the aviation community, a week with the surface community, a week with the submarine community, and a week with the Marines. Two opportunites are offered: east coast (Norfolk, VA) during approximately June, and west coast (San Diego, CA) during approximately August. MIDN Dittberner visited the USS Arizona Memorial and the battleship USS Missouri. each year, over a million people pay their respects to the 1100 sailors and officers who died when the Arizona sank as a result of the December 7, 1941 attack on Pearl Harbor. The Missouri, now a museum, is equally famous. It hosted the Japanese surrender ending WWII. This is MIDN Riley onboard a US submarine at a classified location, somewhere in the Pacific Ocean. Riley is posing in a berthing space and is flanked by the curtains of other people’s bunks. He is wearing a set of Navy Coveralls, a modern version of the submarine “Poppy suit.” To the left is a picture of the submarines as it was when MIDN Riley boarded her, already at sea. 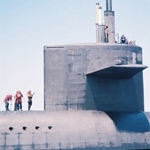 Visible on “the sail” is the Officer of the Deck (an officer only 3 years after graduating from college) as he commands the submarine’s movements. An Aggie Midshipman returning to Pearl Harbor after several days at sea on board a destroyer (DDG-60). 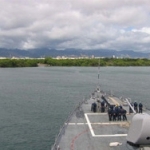 This picture was taken from the port bridgewing during sea and anchor detail. 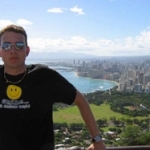 MIDN 1/C Laney in Hawaii at Diamond Head State Park. Diamond Head is a crater with a peak around its edge that can be reached by a hiking trail- this picture was taken at the top. In the background you can see Waikiki and Honolulu. 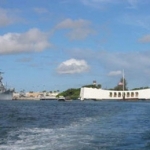 Admission is around $5 per car, and the park is about an hour and a half from the Navy base at Pearl Harbor. 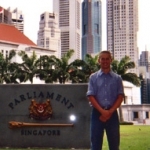 Midshipman Dean (TAMU class of ’06) poses in front of Singapore’s Parliament building. He spent about a week in Singapore. Before this cruise, MIDN Dean had never left the U.S. Now, he’s a world traveler. Not all your adventures will be ashore. Here, Midshipman Dean ’06 stands ‘topside” at sunset. 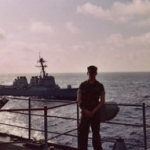 In the background are two US Navy Destroyers. Sunsets and sunrises at sea are a breathtaking sight, known only to those who’ve been there. Many people pay for the experience, but by joining NROTC at TAMU, it’s all free. 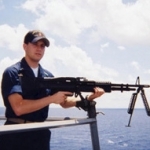 Midshipman (MIDN) Seward ’04 handles an M-43 machine gun. 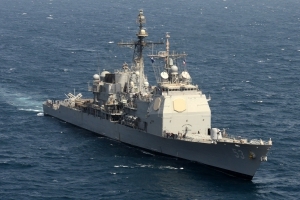 Each Naval Vessel is well armed and most Midshipmen get to fire weapons that are regularly featured on Cable TV. It may be a dream to some people, but in the Navy, it’s a common experience. Join NROTC and try it for yourself.